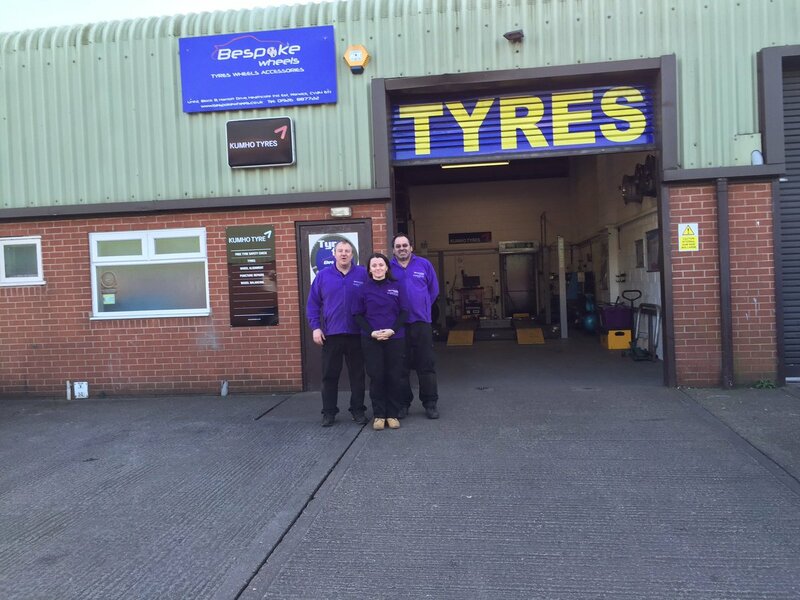 We're an independent tyre business easily accessible for Warwick, Warwick Gates, Leamington, Kenilworth, Barford and surrounding areas. 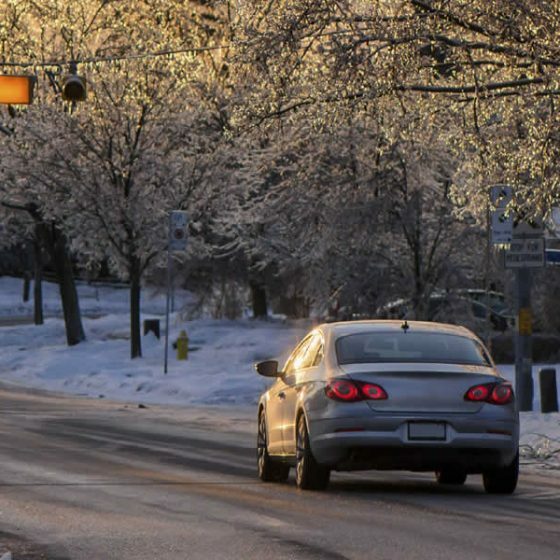 We are proud of the customer care, expertise and value for money we offer and give advice that you can trust, which is tailored to your needs, driving habits and preferences. 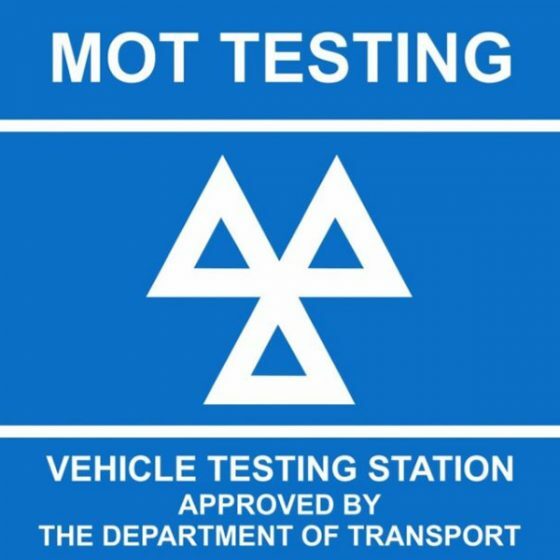 As well as tyres, we sell and fit alloy wheels and have a state of the art computerised Bluetooth wheel alignment system to check and adjust your vehicle’s alignment (tracking) including camber. 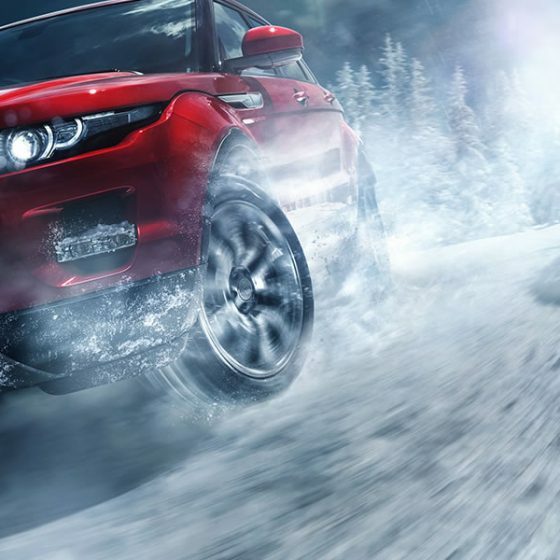 Our tyre range includes standard summer tyres, winter tyres, all season tyres and stock budget, mid-range and premium tyre brands. 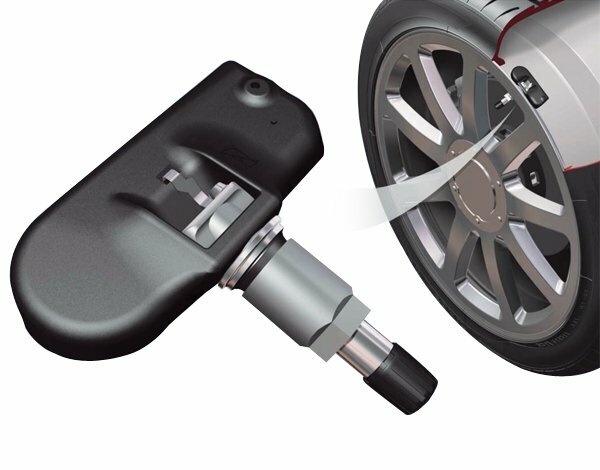 We fit Tyre Pressure Monitoring System (TPMS) to tyres. 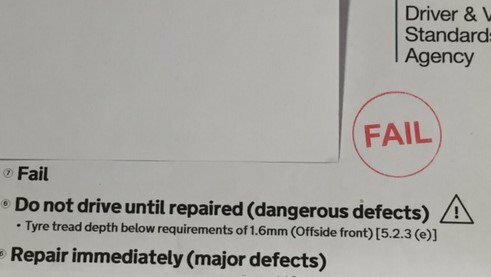 These alert the driver via a warning light on the dashboard if a tyre(s) is deflating. 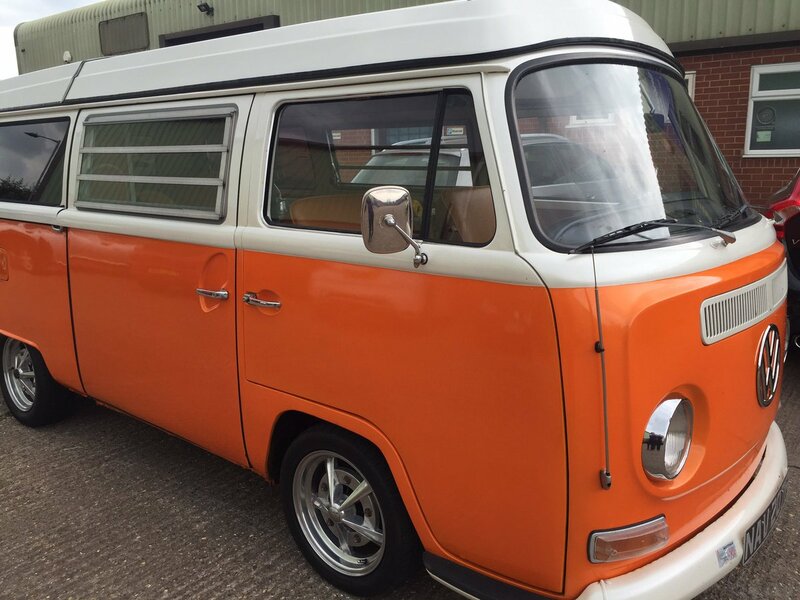 Additional services include wheel balancing, puncture repairs, change-overs and we are experts at removing locking wheel nuts if you have lost your key..
Tyre and alloy wheel pricing depends upon size, make and model of tyre - please call for quotes. 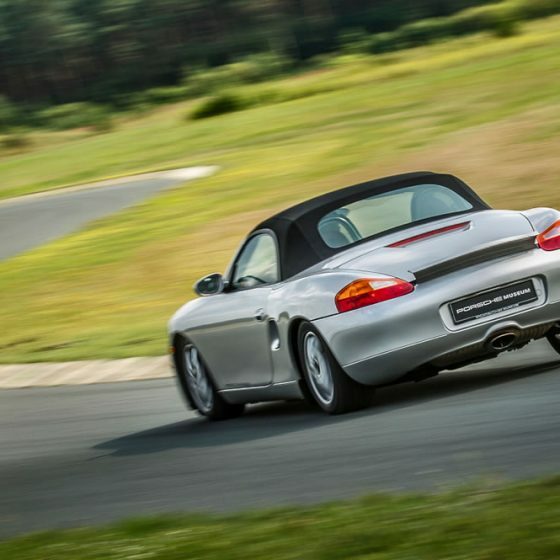 Become part of our online community; you'll get discount vouchers, we'll provide you with useful car related info and info on our products and services. 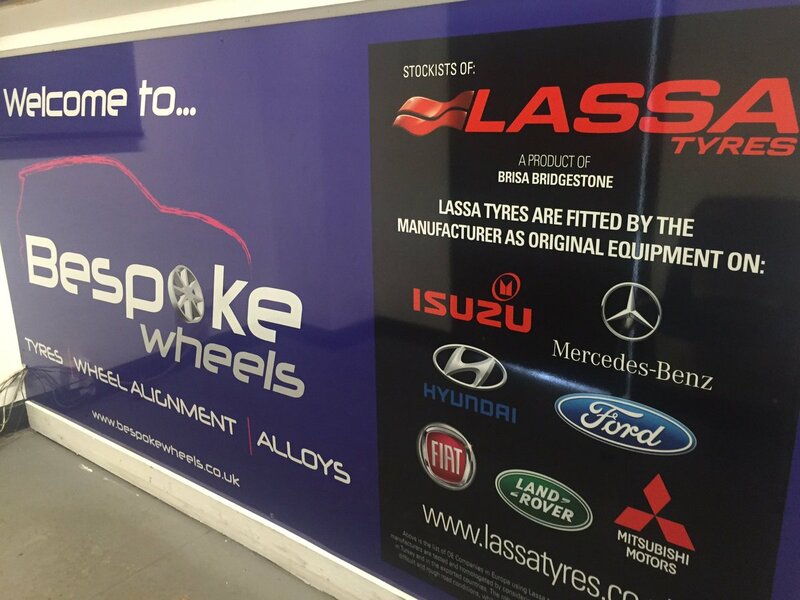 We are proud of all the hard work we do here at Bespoke Wheels. Do you recognise the symbol below? Calling all Tyre Fitters! Please get in touch if you’ve got a few years Tyre fitting experience & are looking for a new challenge. 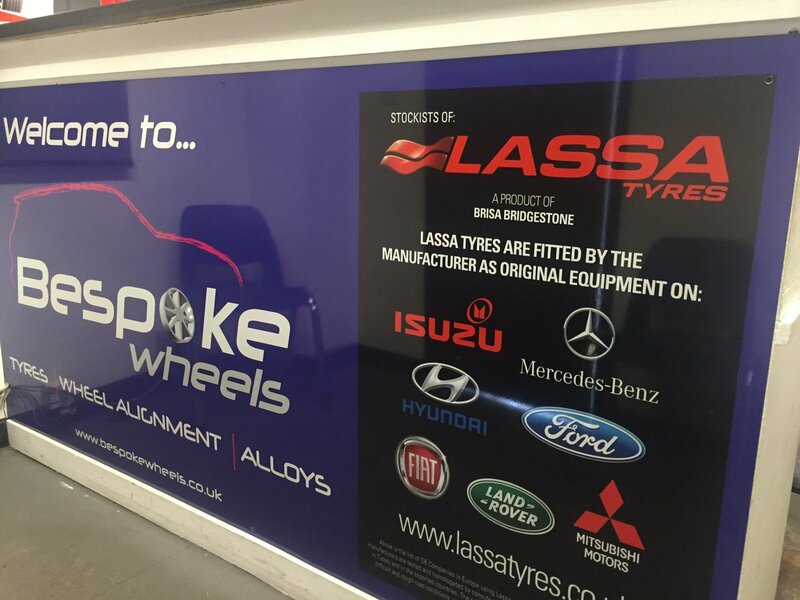 We’re a friendly, independent Tyre business, planning to hold interviews 1st week of Sept. Please call Anna on 01926887722 or dm me. 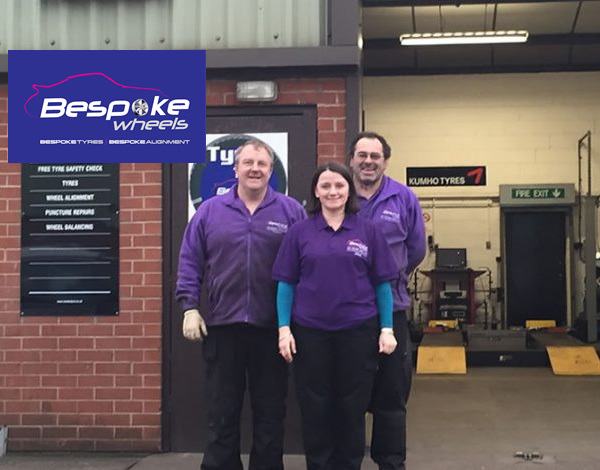 We're RECRUITING at our Warwick workshop... A full time tyre fitter / wheel aligner. Would consider part time. Are you looking to join a local independent friendly business? Experience a must and you need to be great with our customers! DM Anna or call in and see us. @ThatMetalNessie Hi Ben, thanks for reply and yes very fair point! Our learners should be taught on motorways - I would just have made lessons on motorway compulsory when drivers have had enough experience on normal roads/passed test first. Let's hope this new approach is better! The learner has to be with a qualified instructor and the car has to have dual controls- still not sure! 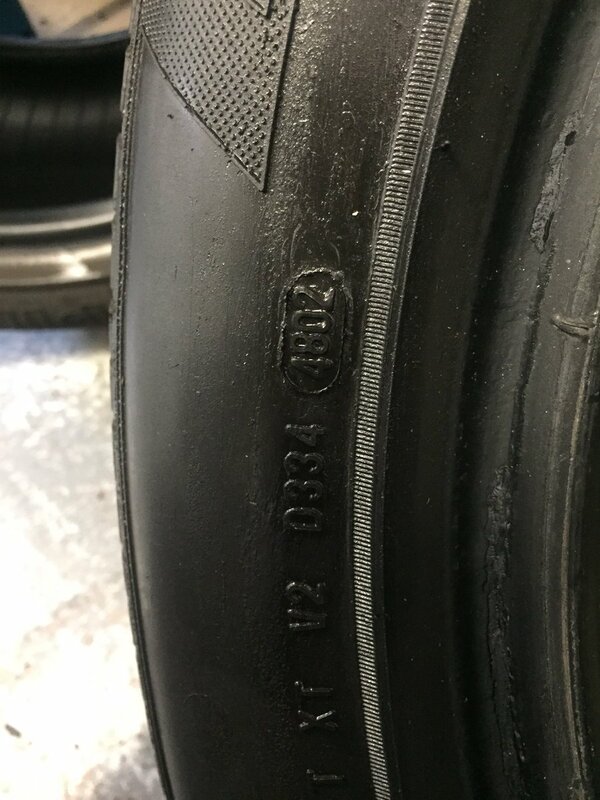 With Bank Holiday weekend on the way, there will be lots more cars on the road (approx 4.5 million getaway trips in addition to normal traffic is estimated) SO don't be caught out by tyre problems, check your tyres before you go!